Home service pros love to ask questions about flat rate pricing, but they rarely give out detailed answers. What are home service companies actually using, and how is it working for them? I set up a 10-question survey using Google Forms and shared it with the Housecall Pro Facebook group. In total, 35 business owners took the survey. I followed up with a few of them to clarify their answers. The most popular flat rate solution. How flat rate affected revenue. The best and worst parts of flat rate pricing. Do you use flat rate pricing? This question was supposed to be sort of a gimme; I expected everyone taking the poll to be using flat rate pricing. As it turns out, 4 people answered no. Good thing I asked. 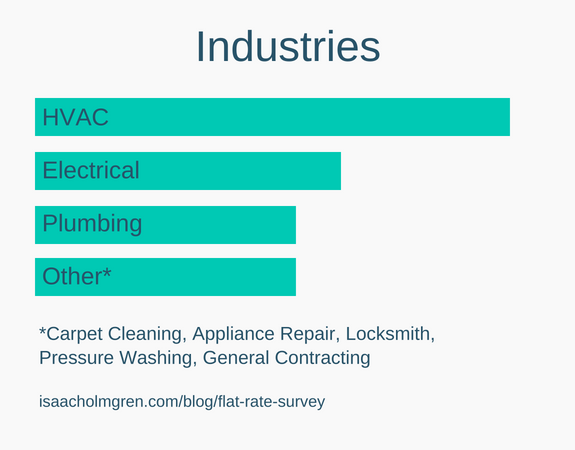 The big three are well-represented: HVAC, Electrical and Plumbing. What flat rate system do you currently use? This one threw me for a loop. 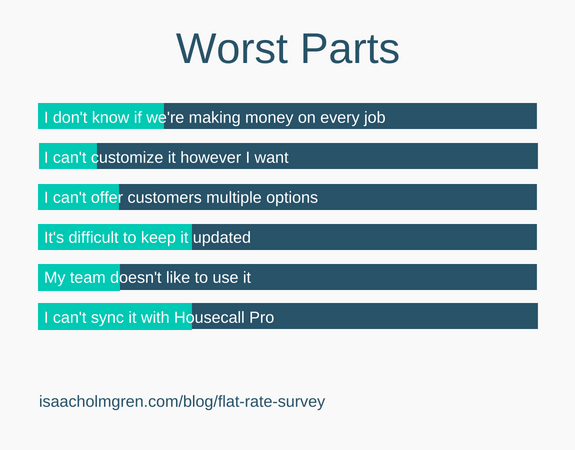 My intention with this study was to understand what third-party pricing software or tools were most popular. Turns out 68% of respondents were using their own system. I heard people asking questions about flat rate software, so I assumed quite a few people must be using flat rate software. Which flat rate systems have you used in the past? 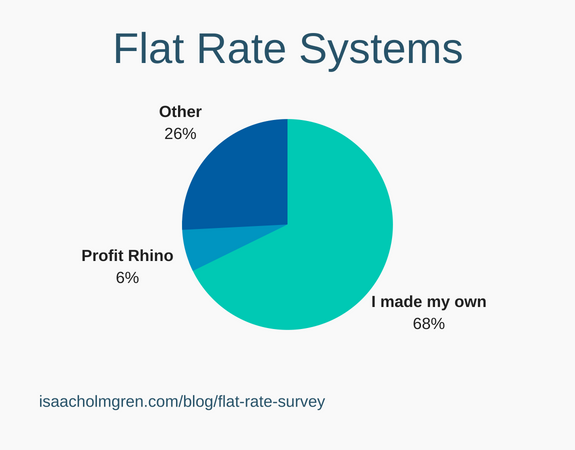 Similar to the other question about systems, 76.5% of the respondents had built their own flat rate system in the past. 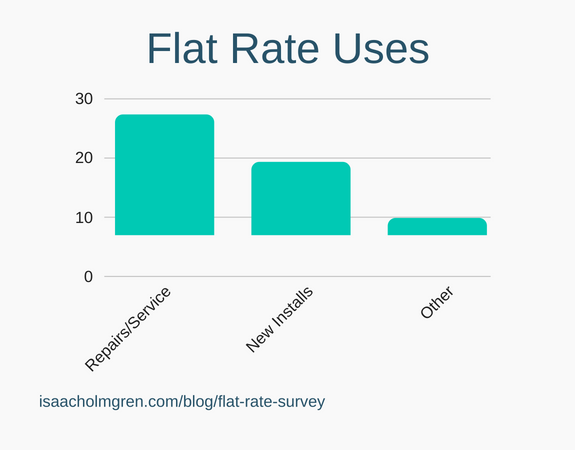 What do you use flat rate for? 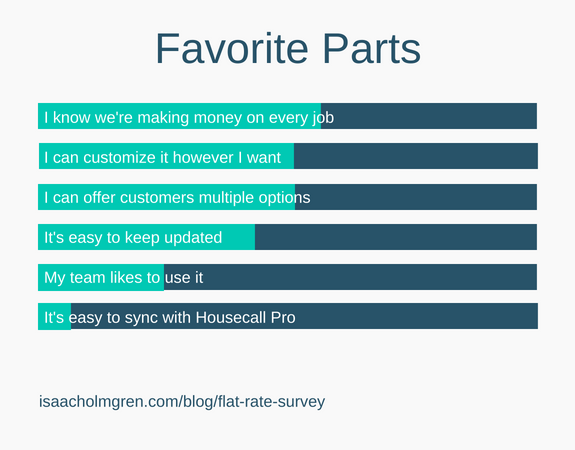 Most people surveyed said they use flat rate for repairs and/or service. Half said they use it for new installs, either along with or without the repairs or service. There were a number of other responses from cleaners, who fall in a separate category which I forgot to provide as an option. How much did your average ticket go up when you switched to flat rate? 12 answered that they don’t know how pricing was affected by the switch to flat rate. 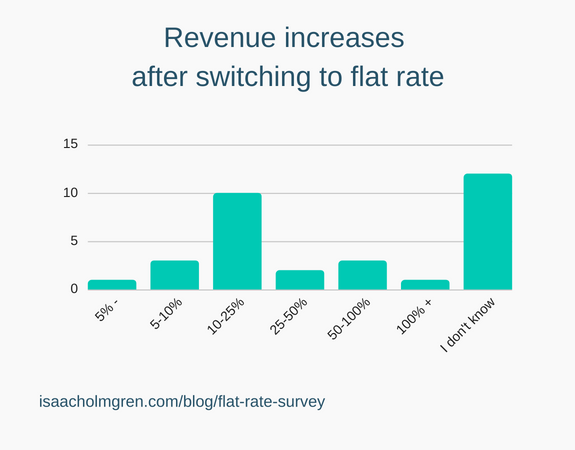 One third of respondents said that flat rate had added 10-25% revenue. How happy are you with your current flat rate system? 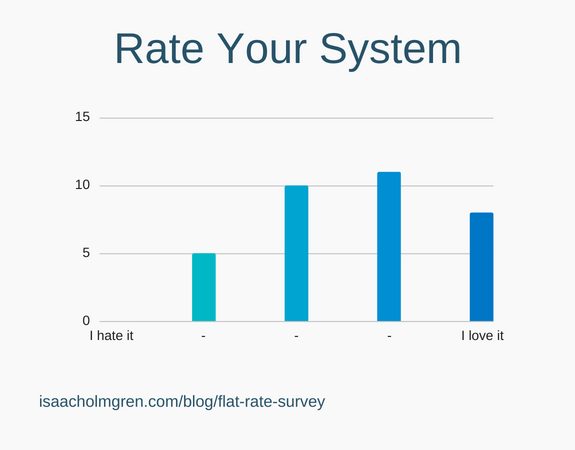 While nobody said they hate their flat rate system, there’s definitely room for improvement. Five rated their system a 2 out of 5, and only 8 reported they were completely satisfied with their current system. What are your favorite parts of your current flat rate system? The biggest benefit reported was knowing we’re making money on every job. Over half of those surveyed are confident in their flat rate pricing system and its’ ability to maintain profitability. Other favorites were customization, being able to offer multiple options, and ease of updates. 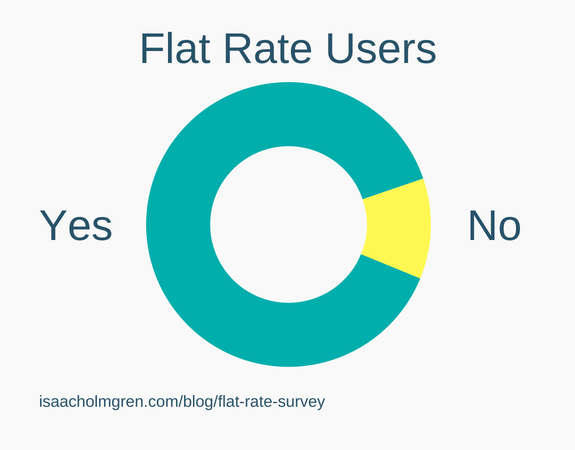 Not as many were confident in their team’s support of flat rate. Not all employees understand the costs of running a business, and flat rate pricing can widen the gap between their hourly rate and the price they see charged to the customer. This is a common challenge for business owners. Not surprisingly, very few reported it being easy to sync with Housecall Pro. This was a particular point of discussion at the time I started the survey, and I suspected it was a point of frustration for many. What are the worst parts of your current flat rate system? The top complaint was keeping the system updated. This can be a huge task, especially for complex service companies in HVAC, electrical or plumbing. And if you’re using the Good-Better-Best pricing model, you’ve just tripled the amount of work. Just as frustrating was the challenge of syncing flat rate pricing with Housecall Pro. Once you’ve worked through all of the possible options and made your updates in your pricing software or your printed books (or both! ), there’s still your HCP price sheet to bring up to date. Coming in a close second was that some didn’t know if they’re making money on every job. It’s one of the biggest hurdles to companies making the switch. Charging hourly is easy; you know you’ll cover your costs, no matter how sideways the job can go. But when it comes time to use flat rate pricing, the dynamic is different. How do you figure out what to charge in order to turn a profit? And what happens when a job takes longer than usual? We’ll talk about that after we cover the results of the last question. Any other thoughts about flat rate pricing? Enter your email address below to get notified when I publish another article on this topic. While I try to highlight the local marketing strategies that work, sometimes it’s necessary to point out the ones that don’t. The Real Estate Folder Ad is one of them. While my experience was with real estate folders, I’ve also heard of this being done with golf scorecards and school schedules. It’s not *technically* a scam… but it’s definitely a waste of your money. We bought into one of these things last year, and have received several sales calls for similar programs since. If you’ve ever received a call from someone “representing” a local business or institution who wants to offer you an ad space on their printed materials, you might know what I’m talking about. The “Marketing Company” (there are several) calls real estate offices all over the country and offers to send them free marketing material. Flyers, folders, whatever. Having gotten some sort of approval from the real estate office, they then call local companies like us and sell us on having our ad in their marketing material. We pay between $300-$1200 to get featured in their material, which we’re told is going to be used exclusively by this prestigious local real estate office that we recognize. Also, if we don’t sign up, they’ll sell the slot to our competitors (gasp). They do the graphic design, and bill us. We pay money. The project is delayed for months because of other advertisers asking for revisions in the design process. At least, that’s the excuse I’ve seen. Eventually, the marketing materials are ostensibly printed and shipped to the golf course(…) Since they didn’t pay for the material, and they’re now filled with ads, the real estate office deposits them in a back room and forgets about them. Or just dumps them in the trash. Technically, the Marketing Company has fulfilled their contracts – they did graphic design work for you, and they shipped the material to the real estate agent. They take your money in payment for their hard work, and keep going. Since most local businesses don’t track their leads, they can re-sell the services the next year. If you want to advertise with a local company, talk to them directly and get a written contract that states how much you will pay and what you’re paying for. The Real Estate Folder Ad is a definite “no” in my book. Put your money into Facebook Ads, get a billboard, or buy a round for everybody at the bar this weekend and put it on your company card*. All much better uses of your advertising dollars. *I am not a CPA and I’m pretty sure this doesn’t qualify as a deductible expense. As I’m setting up emails to send to customers, I often wonder what emails my competitors are sending. By competitors I mean other plumbers in general, not necessarily the ones in my geographic market. I know I could sign up for a dozen email newsletters and I’d start seeing what the competition is doing. I’ve done this in the past with big-name marketers to learn how they write a compelling email, and I learned a lot. The downside is that your inbox fills up with marketing emails. This tends to throw off my daily inbox routine, and it means I usually end up archiving or deleting those emails, so the whole thing ends up being a waste of time. I knew that I wanted to collect marketing emails from other plumbers, I didn’t want to see them in my inbox, but I wanted to be able to review them at the right time. Oh, and I wanted to be able to organize and share my email collection with others. 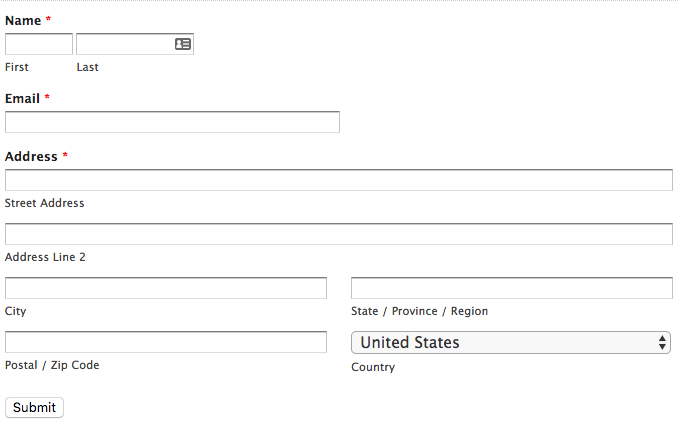 So I couldn’t just create a tag/archive filter in Gmail, because I needed to move them out of Gmail. Here’s what I ended up doing. First, I started searching for plumbing companies with newsletter sign-up forms. Once I started looking, I found a bunch of sites that use an agency called Footbridge Media, and their newsletter signup forms ask for a lot of information. I just wanted to sign up for a newsletter! Since I didn’t want to give out an address, I skipped all of these websites (there were many) and went for those who let me sign up with just an email address, or a name and email. So now I had emails coming in… now to get them out of my inbox. First I needed a simple way to tell these emails apart from my other emails. I opted to use the old plus sign trick: every time I signed up for a newsletter, I added a special identifier to my email address. There are other ways to set up a filter, but this is my favorite. Now that I identified the emails, I just needed to get them out of my mailbox. I eventually found this blog post that pointed me to a Google Sheets Add-on called Save Emails & Attachments. The plugin has a walkthrough to help you get set up. The add-on lets you select which filter you’d like to use to collect your emails: I used the filter that I set up in the previous step. As I come across additional plumber newsletter forms, I’ll drop my special email address into them. When I’m ready to do something with the emails, I’ll have a folder filled with PDFs that I can review and sort. Tada! Email idea machine. In the future I’ll organize the emails by topic, type and quality. 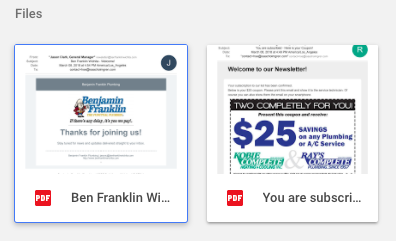 I’d like to start assembling statistics around the individual campaigns and see how often the average plumbing company sends email newsletters. I’m also curious to see what type of emails are sent the most. Of course, just because they’re popular doesn’t mean their effective, but it will be interesting nonetheless. If you’ve solved this problem before, I want to hear how you did it and what you learned. I’m reading through 70 books in 2018. This is one of them. I’ve read a lot of Seth Godin over the years, and this review reflects that. I’ve also read The Dip before. It was one of the books on my list which I thought would be worth a re-read. It did not disappoint. The Dip which the title refers to is the area of frustrating struggle which separates beginners from winners, or the hopeful from the best in the world. This is the clear subject of the entire book, and Seth uses many examples to illustrate in detail why pushing through the dip (the concept, not the book) is worth it. Intertwined with the main subject is the subject of quitting. In this sense, I feel like the book almost misses an opportunity with the title, as the dip is entirely about knowing when to quit and when to push through. The impact of the advice and questions in this book is difficult to overstate. If you are one who struggles to know when to quit, or when to push through to the end, this book is a must-read. At the end of The Dip, Seth notes that “Short books are hard to write”. This book is quite short, for its kind: 80 pages in my hardcover version. Following his own advice, Seth has quit many of the rabbit trails and side points that would have diluted this book, making it more valuable and more accessible at the same time. If you’re in a home service business you know that getting reviews is one of the hardest customer interactions, ranking up there with getting a budget number. With our most recent test, we asked 32 customers and got 11 reviews in 1 month. That’s a 34% review rate! We do all of our scheduling through Housecall Pro. Housecall Pro has a lot of cool and useful features, including their automatic email reminders which we used to get a 20% review rate from customers. That’s fantastic, and I had other Housecall Pro users contact me and ask for the copy I used in that email (you can get it here). But we knew we could do better. And we did. Last month we tried something that beat the review email… and I can’t take any credit for it. 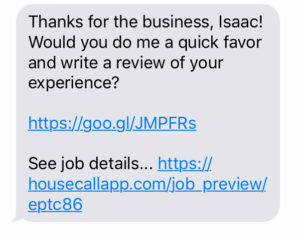 Housecall recently added the ability to edit and customize the text message notifications that get sent to our customers, both before and after a job. When I mentioned this new feature to Eric, the operations manager, he got that look in his eye. He had an idea. This text update alone boosted us from 74 reviews to 85 in a month! It’s personal. It looks like it comes from their service tech, asking for a personal favor. It’s automatic. We don’t need to remember to ask every time – this message went out to 32 customers without a second thought from anyone on our team. It’s easy. The short link in the message sends customers straight to the Google review page. Just a few clicks and it’s done. Most of the reviews happen within an hour of job completion. Trying out the text message review link? Let me know how it works for you! 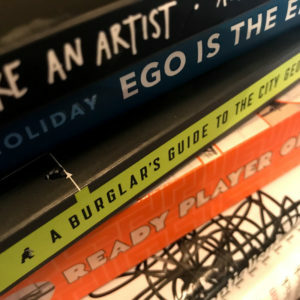 I just finished book number nine for the year: A Burglar’s Guide to the City by Geoff Manaugh. This book was gifted to me by my friend Jesse. He knows me well; I’m always up for reading about crime, psychology, or architecture, and this book covers all three. The book is a mixture of historical events, personal experiences, and discussions of theory and psychology. It’s not an action-oriented book by any means, but it contains a respectable share of thrilling crime stories. It also covers quite a bit of ground, from lockpicking to government surveillance to municipal planning and more. The broad range of topics never strays too far from the author’s primary message: that burglary forces us to view the world differently. Burglars are the original hackers, exploring vulnerabilities in architecture and exploiting them to their advantage. Whether he’s walking you through an infamous heist or an abstract discussion of transportation design, the author stays focused and delivers food for thought. I enjoyed ‘A Burglar’s Guide’ and the way the author discusses architecture as a spatial worldview. Burglars see a door where others see a wall. They reject the expected use of a space and create their own. In a sense, it’s quite poetic. I’m reading 70 books in 2018. Check out my reading list for more book reviews. This post is about all of the books I want to read in 2018. I used to be a reader. Some would call me a voracious reader. It was my gift. My mother claims when I was a toddler she could leave me with a stack of books all day and never needed to check up on me. It’s probably not far from the truth. By the time I was 10 I had read every book in the house. I was so desperate to read, I started reading our 27-volume encyclopedia set. I lost interest somewhere around ‘spumoni’. In 9th grade I took a reading test to check my speed and comprehension. According to my dad’s memory, I read 750 words per minute with 95% comprehension. Unfortunately, after high school my reading dropped off considerably. Once I had my own transportation, there were just too many other things to do. There was money to make, people to meet, places to visit. Books had lost their interest as I discovered the wide world outside my imagination. Of course, I still read some books. I read some business books, how-to and psychology books. Once or twice a year I would pick up a fiction book, and sometimes I’d even finish one. Mostly, I read articles, blog posts, Facebook statuses, tweets. Some great, some good, mostly worthless. Towards the end of last year I realized how little I actually read, and how much I miss reading. When it came time to set goals for 2018, I knew what I needed to do. This reading list came from four major sources. First, I was inspired to start reading again by Jon Acuff’s incessant Instagram posts about the books he was reading (learn how Jon read 100 books in 2017). Many of these books were drawn from his reviews. Second, last year I read The Obstacle Is The Way by Ryan Holiday. The book was fantastic, definitely the best book I’ve read in several years. After reading that book I found Ryan’s reading list and added a bunch more books to my must-read stack. Third, Jason Zook from JasonDoesStuff has a running list of books he’s read, an idea which I ripped off for my reading list. Many of his recommendations made it onto this list. And fourth, I asked my Facebook friends for recommendations and they came through in a big way! If I put all 100+ names here, the post would be longer than the reading list! Okay, we’re almost to the list. Before we jump into it, there are a few things I want to point out. This list is not comprehensive. I may read books that are not listed, and I might not read books that are on the list. I don’t have a reading order or a strict regimen around this. This list is not a recommendation. There are some great books on here which I’ll rave about after I’ve read them. There are some others which are the antithesis of everything I believe about humanity (I’m looking at you, Mein Kampf). Let the reader beware. This list is not for children. Along the same lines as the last point, some of these books may be inappropriate for young impressionable minds. Don’t print this off and hand it to your kids as a summer reading assignment. This list is not complete. It’s only January, which leaves 11 more months for recommendations and discoveries. I’m super excited to find more great books to read, and I’ll try to add them here as I find them. If you’d like to know how far I’ve gotten and get my opinions on the books I’ve read in 2018, check out my reading list. 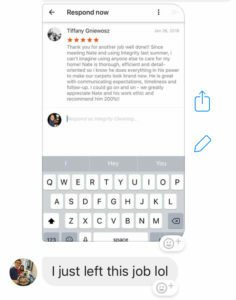 If you’re like most small business owners I know, asking for reviews isn’t fun. What are the best review emails you can send? Here’s the best review email I’ve ever sent out. You can copy this word-for-word if you like – I won’t tell. Would you do me a small favor? It will take less than a minute, but it would mean a lot. Google Reviews help people like you make decisions every day. They help to explain our service in a way that we can’t do ourselves. 3. Write your review, give us a star rating, and press “post”. That’s it! It’s quick and easy, and it really does help others to make an informed decision. The best review emails get your customers to click through and write reviews. This email is automatically sent out to our customers through our scheduling software. I send it one week after we’ve completed the job. I’ll probably run a test to find out if this copy would perform better on a shorter timetable, but right now it’s been bringing plenty of reviews at that 7-day mark. Keep in mind, the best review emails frame your request as something that benefits your customer. In this case, you’re telling them that they’ll be helping other people like themselves. They get a good feeling from helping their fellow man, and you get a good review. In September I started keeping a bullet journal. If you’re not familiar with the concept, it’s basically just like it sounds: a cross between a bulleted list and a journal. It’s a way to keep track of what you do each day, as succinctly as possible. A search through Pinterest or Instagram will reveal some ridiculously complex and artistic bullet journals. It seems to have become a popular way to show off your doodling skills in the name of productivity. This is my favorite page in my #bulletjournal. It's interesting to look back at my month with a big picture overview. I had a few more difficult days this month due to a family situation, but overall my life is great and I'm #grateful. These are not my journals. I had no such aspirations. 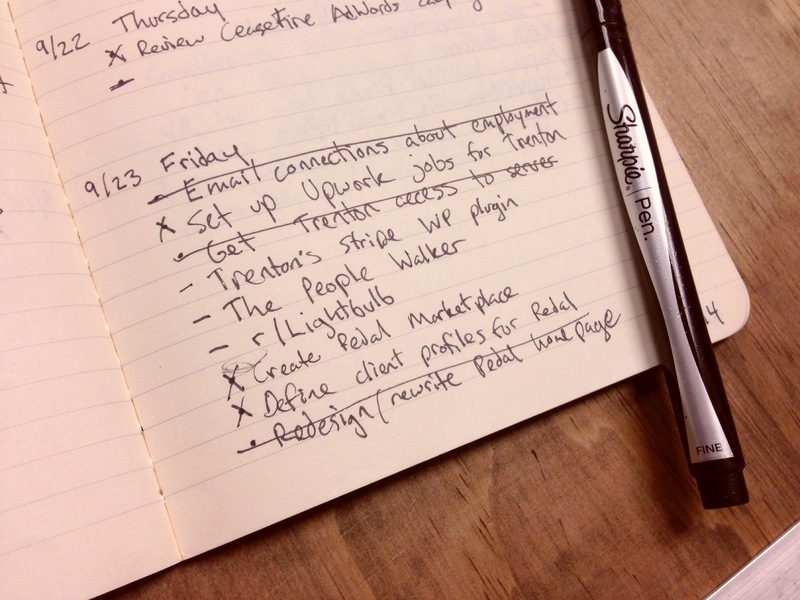 Instead, I was looking for a simple way to track what I was accomplishing throughout the days and weeks. I used my bullet journal daily through the month of September, which was 30 days as of yesterday. Here are my impressions so far. Starting off I had doubts about the idea of a physical notebook. Ever since I was about 12 I’ve been obsessing over technology and the ways it makes our lives easier and better. At that time I saved up something like $150 and bought a PDA. If you’re younger than me, a PDA (personal digital assistant) was the grandaddy of the smart phone. It had a calendar, address book, to-do list, notepad, and email if you were lucky. The later versions had a basic web browser built in, right before they were killed off by the release of the iPhone. At the time I was convinced that my productivity and memory recall would increase exponentially if only I had one of these magical devices. The PDA didn’t change my life significantly, but I continued to live under the assumption that technology was making my life much easier. As a result, physically writing something down seemed backwards and counter-productive. I bit the bullet (no pun intended) and bought a Moleskine journal (actually I bought 3 of them, because you can never have enough fancy hipster journals). Creating the index and future log was fun, but I seriously doubted whether I would keep this up for long. As it turns out, the physical aspect played out in my favor. I carried the journal around in my backpack right in front of my laptop, which meant that I had no choice but to see it every day when I sat down to work. I got into the habit of pulling it out right at the start of the day and setting it down beside my laptop. In that spot it served as a visual reminder that I had goals for the day. The act of filling out the day’s milestones and marking them as complete was almost therapeutic. When I didn’t make the progress I had hoped, it served as a reminder that I had missed something (this happened often). Unlike the examples I referenced above, my day-to-day journaling looks mind-numbingly similar. Each day has it’s own bulleted list, which I filled out as the day progressed. I used the most barebones notation: • bullets are tasks, – dashes are notes or reference items, and º circles are meetings or events. There were a few instances where I got brave and changed the format; these were all for meetings, where I just dropped any sort of notation and wrote my scattered thoughts line-by-line until the meeting was over. Otherwise, I stuck entirely to the daily format. Now that a month has past, it’s time to create a new month calendar in the journal. One of the key points of bullet journaling is migration: reviewing all unfinished tasks or goals in the past month and migrating them forward as necessary. Having just completed migrating all of last month’s tasks, I think it’s the most valuable part of a bullet journal. With my other productivity/organization setups, unfinished tasks ended up in a Someday list which was subsequently ignored. Tasks would disappear for months or years, if not forever. With migration, I’m forced to go back and reassess any unfinished business to see if I still need to pay attention to it. So far my experience with the bullet journal has been positive. I’ll continue to use it to track my progress through the month. I don’t foresee a whole lot of changes to the format. Ultimately, the bullet journal is just a way to document what’s happened; it’s my choices during the day-to-day grind that make the difference. Having tried so many to-do lists and productivity hacks over the years, I’m painfully aware that the real gains come from hard work and persistence. If you’re curious about bullet journals, visit the website – or if you’re looking for doodling inspiration, look at the #bulletjournal hashtag on Instagram.